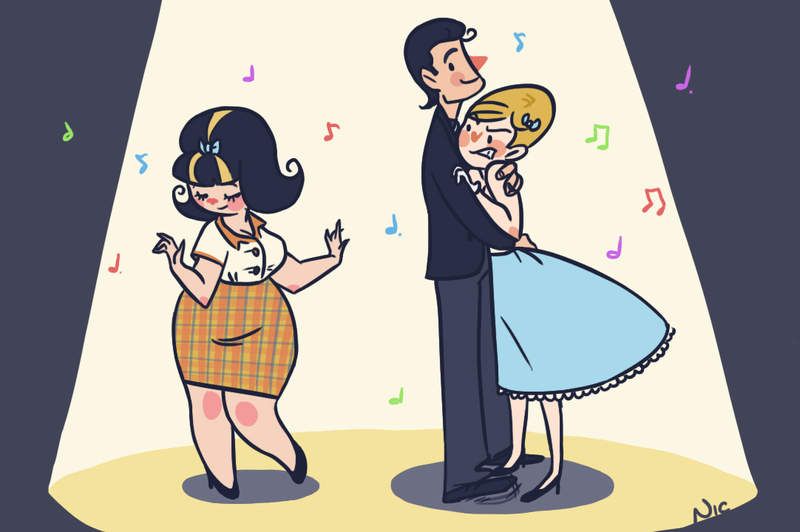 Inspired quite a bit by Dean's birthday trip, I decided to draw some of the characters from Hairspray! So happy birthday Dean and I hope you like your present! (I'll try to remember to print it...) And thanks to Suu for helping me pick some of the colours! Oh my god.... I can hear the bells! haha This is amazing! You are amazing :) Thank you Nichole! I love the body language of the dancing girl. "and not a single F*ck was given that day"
welcome to the 60s! rawr! Thanks guys! :D I would like to formally invite all of you to the 60's.